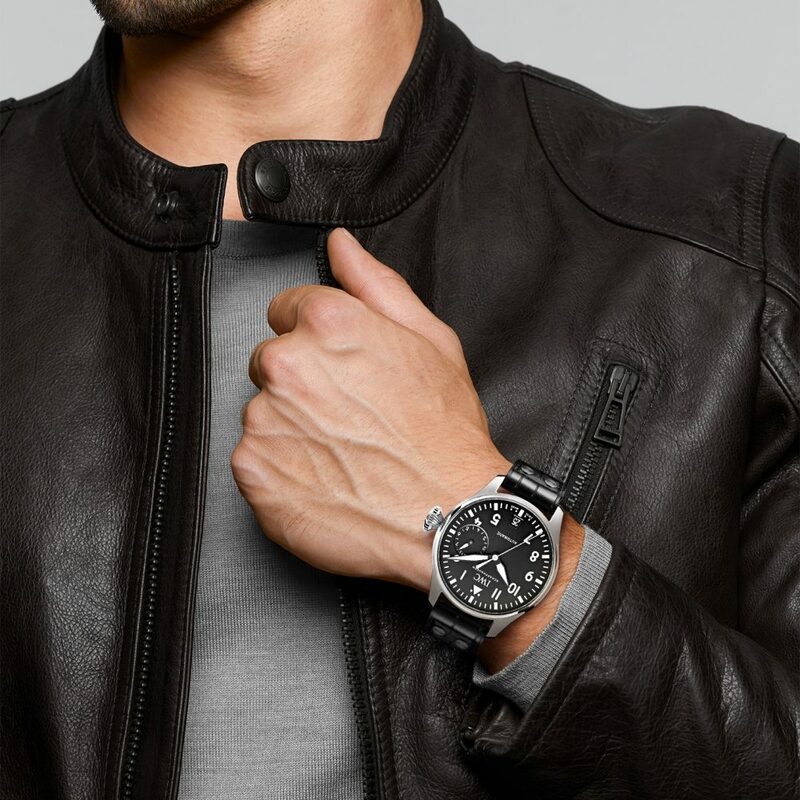 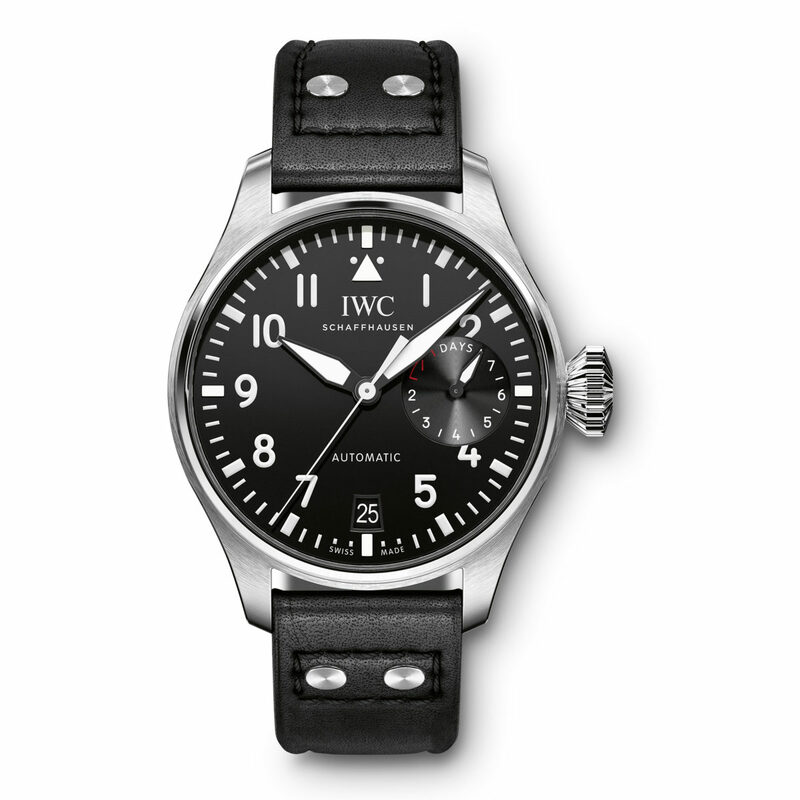 IWC Big Pilot's Watch (IW501001) men’s watch boasts a 46mm case surrounding a black dial on a black Santoni calfskin strap with a steel folding clasp. 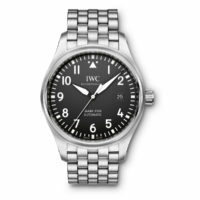 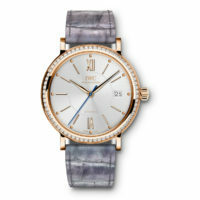 IWC manufactured automatic Caliber 52110 features a bidirectional Pellaton pawl-winding system. 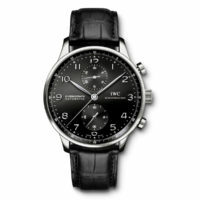 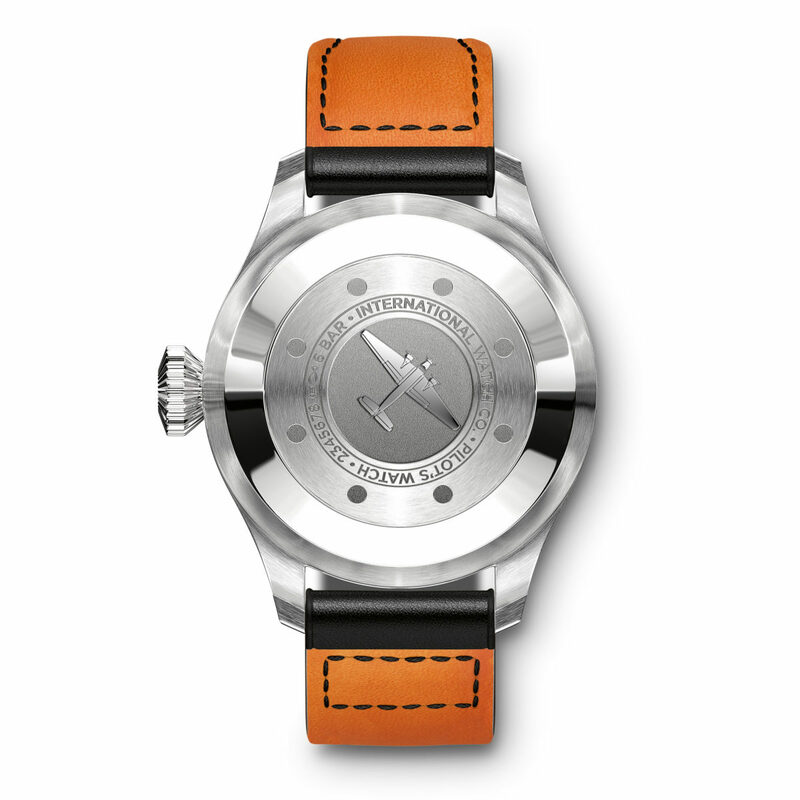 Functions include hours, minutes, central hacking seconds hand, date display & power reserve indicator. 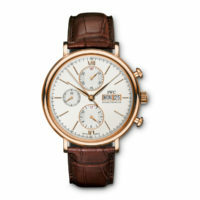 This watch features a 7 day power reserve and is water resistant to 6 bar.